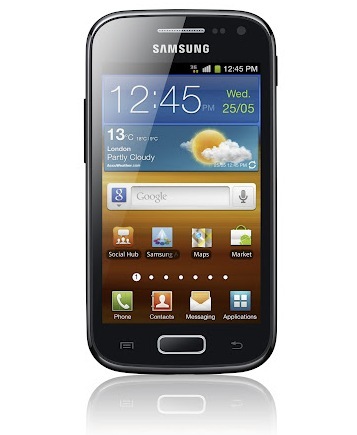 Samsung has announced upgraded version of Galaxy Ace known as Galaxy Ace 2. Samsung Galaxy Ace 2 has 800 MHz Dual-Core Processor, 3.8-inch WVGA (480×800) PLS TFT screen and runs on Android 2.3 Gingerbread. Galaxy Ace 2 comes with 4GB of internal storage and 768 MB of RAM. The Galaxy Ace 2 has 5 Megapixel Auto-focus camera with flash and VGA front-facing camera for video calls. The phone comes with Samsung ChatON which provide easy multi-format instant messaging and group chatting. Galaxy Ace 2 will be available in UK from April before being rolled out globally.